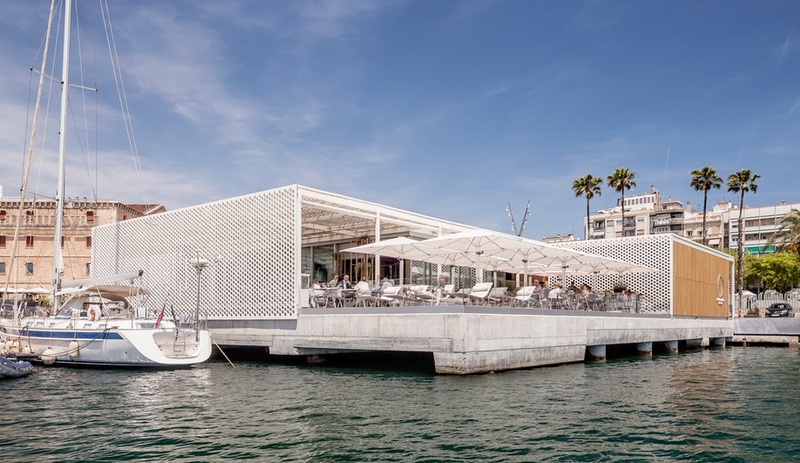 Local firm SCOB Architecture and Landscape has constructed an invitingly open pair of buildings in Barcelona’s Port Vell marina, adding administrative and hospitality spaces with nautical flair. The harbour of La Barceloneta – the ancient disctrict of Barcelona, famous for its sandy beach, which juts into the Mediterranean Sea – shelters OneOcean Port Vell, a marina of nearly 150 berths for cruising yachts. 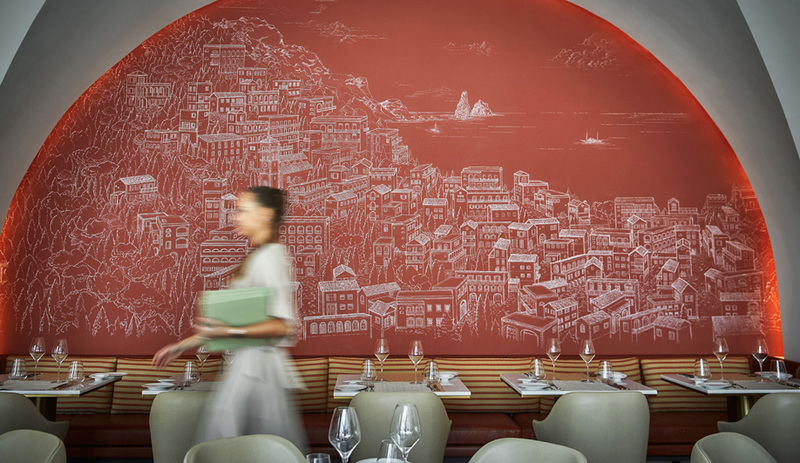 Here, SCOB Architecture and Landscape has inserted two facilities to serve the marina’s staff and clientele in style. 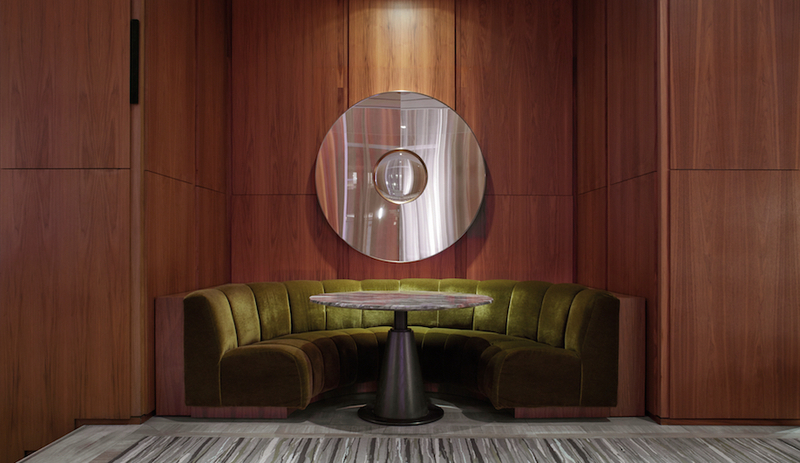 At the entrance to the marina, a new bar and lounge offers hospitality, while further along, a “gallery” wedged between two berths houses administrative spaces. 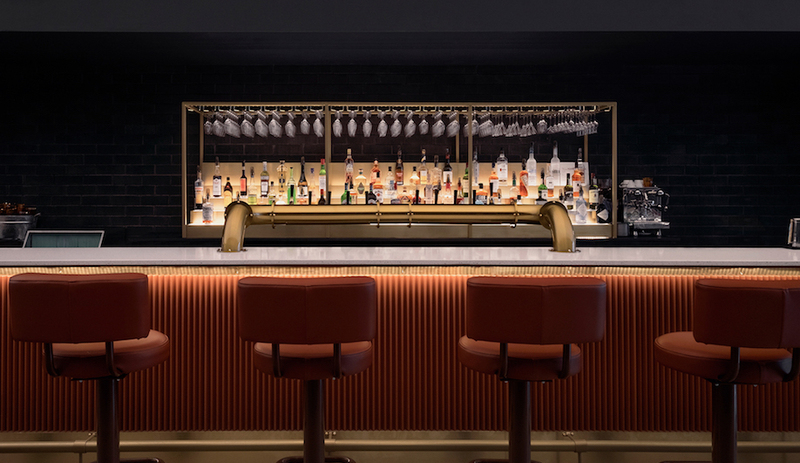 In the 1,095 square-metre, one-storey entrance building – which floats on the water, houseboat-style – a bar and lounge are separated between two odd-sized wings. 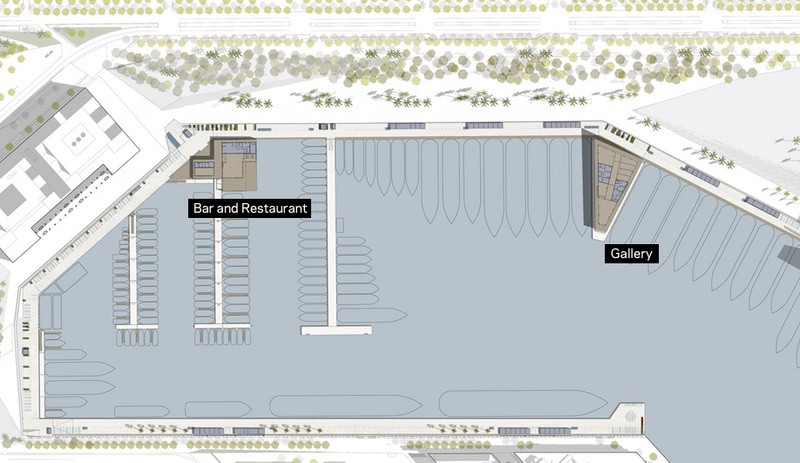 Pier-side, the smaller triangular wing holds only the bar, while facing the water, the much larger wing holds the restaurant, kitchen, utilities and restrooms. A breezeway topped by lattice ties the two together. 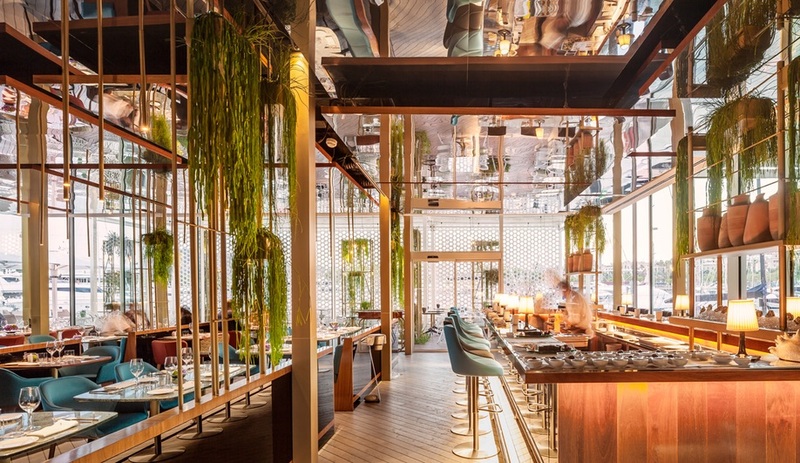 While much of the restaurant is turned over to a generous outdoor dining terrace poised just above the water’s surface, its interiors are no less striking: guests sit below a veritable hanging garden, reflected by a mirrored ceiling, surrounded on three sides by glass walls open to views of the water and city. Unlike the floating entrance building, the two-storey gallery sited further along the pier stands above the water on concrete posts. Besides offices for marina management, the 2,675-square-metre gallery holds meeting rooms, multipurpose spaces, a gym and a kitchen. 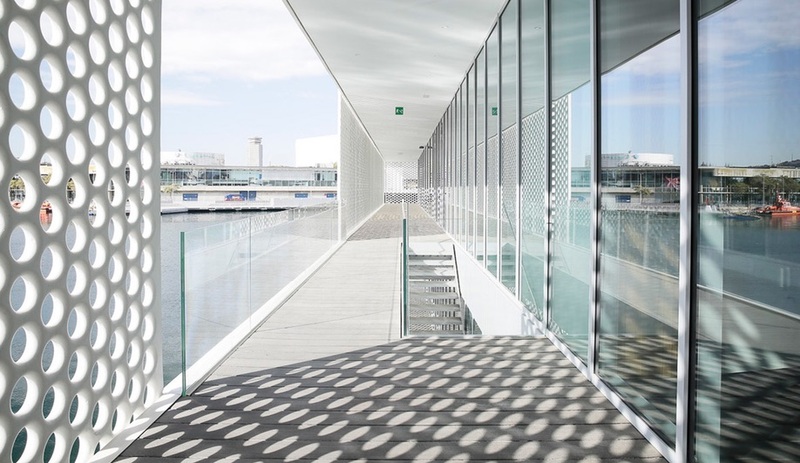 The gallery occupies an unused space along the pier – inaccessible due to its triangular shape, which tapers as it gets further from the waterline – which dictates its unusual plan. 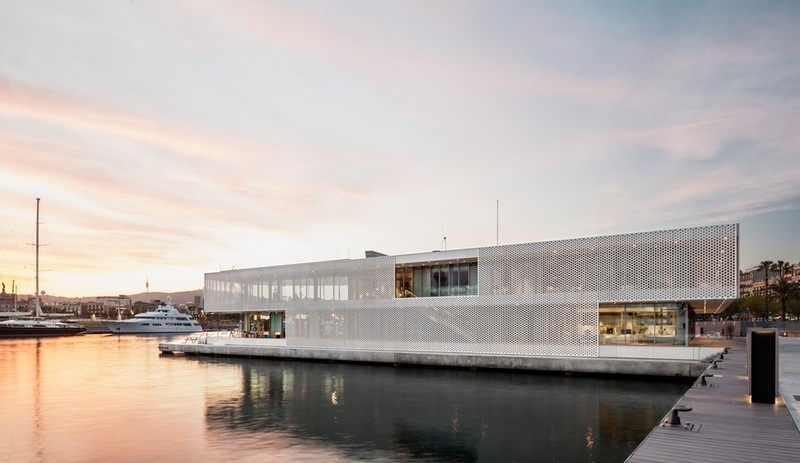 While the narrow end of the building is turned over to co-working spaces, the pier-side facade – one of the few stretches of the building exterior not covered by lattice – faces north, towards prime views of the city. 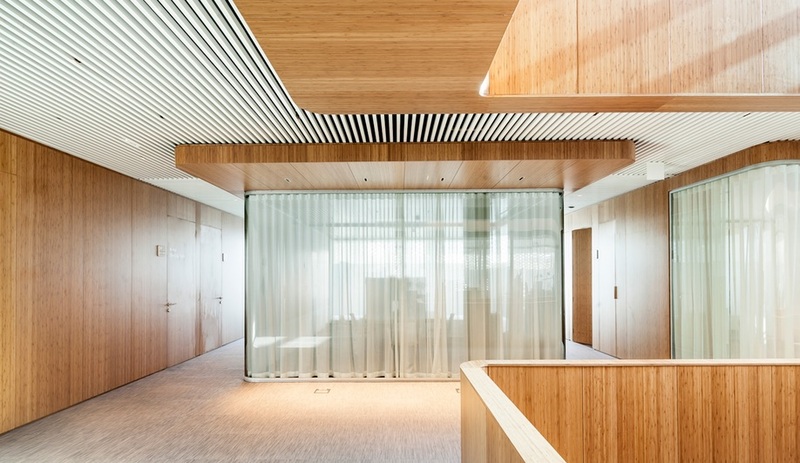 Like the entrance building, the gallery’s interior uses finishes that evoke the interior of a boat to help tie inside and outside together: a predominantly white palette is rounded out by cloud-grey carpet, wood panels and sheer curtains. 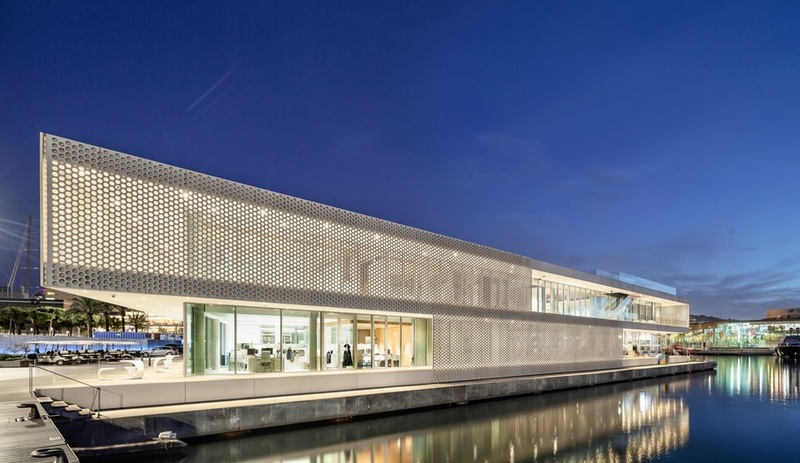 The two structures are separated by a few dozen metres, but united by their matching facades: both are wrapped in white perforated steel lattice that allows them to blend in with the nautical setting. 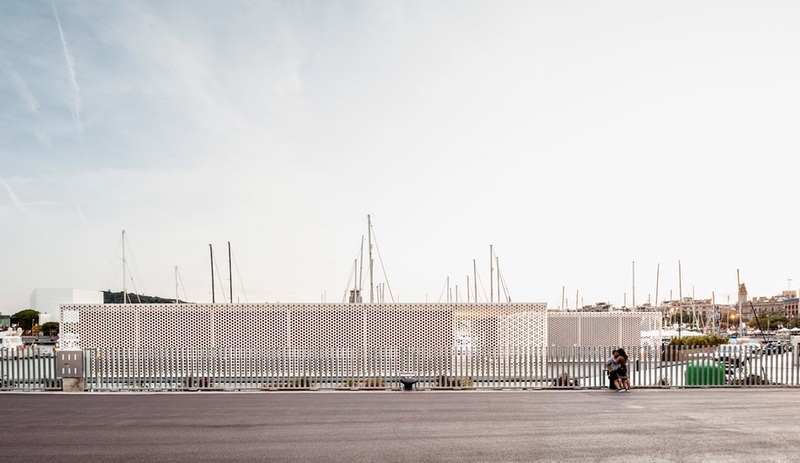 These lattices, developed specifically for this project, pay homage to the way local fishermen would historically erect tents using their large fishing nets to shelter them from the sun. 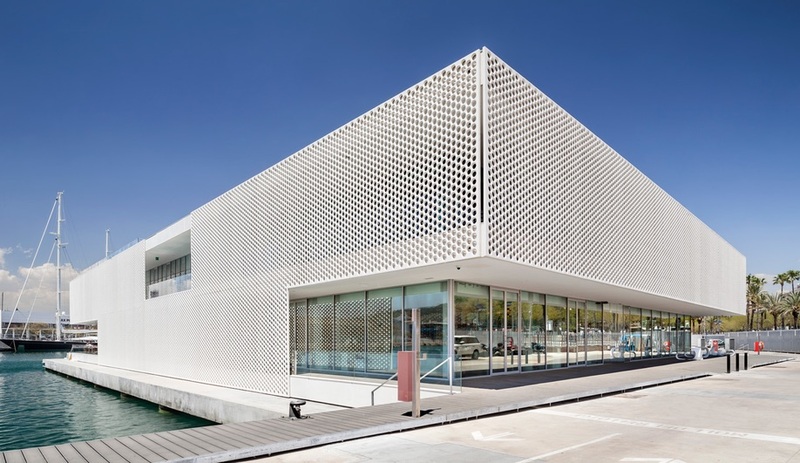 For the marina buildings, that goal remains unchanged – the lattices reduce solar gain – but they also protect against strong winds and salty spray, and offer a degree of privacy while retaining a feel of being open to the surrounding environment. Only the kitchen, utility spaces and storage areas are totally enclosed. A large area adjacent to the floating entrance building had to be kept open to allow vehicles to pass, as well as to allow pedestrian access for yachts berthing or casting off. But while the space had to remain open, SCOB livened it up with new lighting and signage, and vegetation in low planters along the edge of the pier. 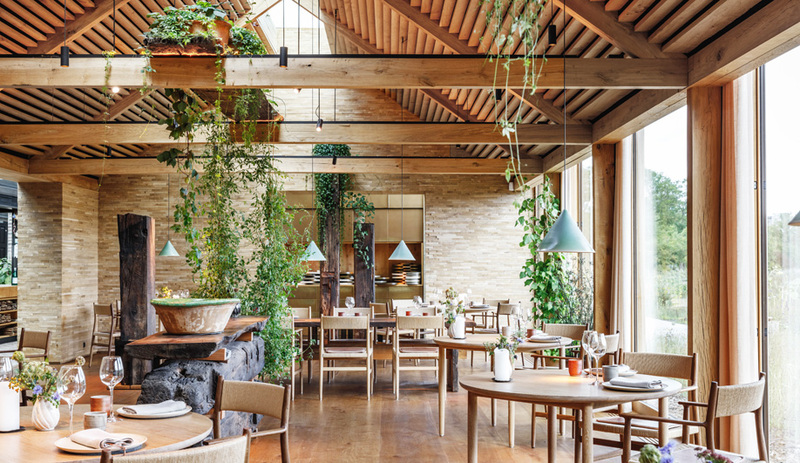 The firm also developed ODOS, a new line of concrete outdoor furniture, working in collaboration with manufacturer Escofet, specifically for this space. These sculptural chairs and tables turn the open quay-side zone into a programmed space for mingling along the waterline. 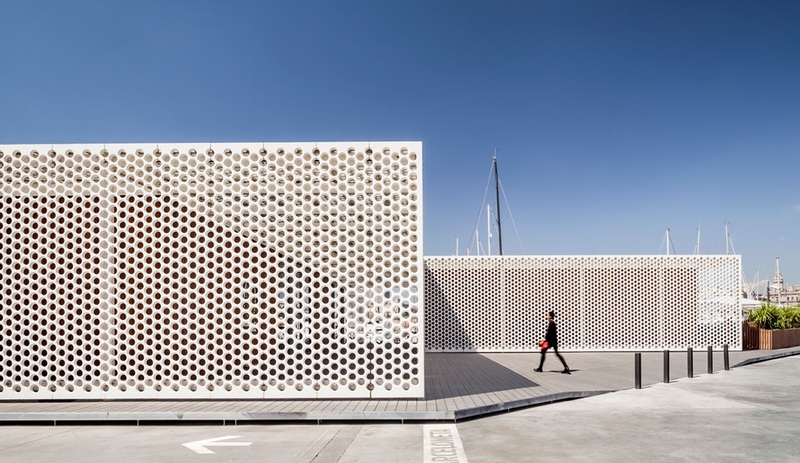 Though subtle, these touches to the landscape help create a sense of continuity between the building interiors and the public spaces, poising the marina between the industrial port and the old town district of Barcelona.